Re-live the past with a host of rock legends performing! The Ultimate Tribute to Rock Festival is coming to Kent this Summer! 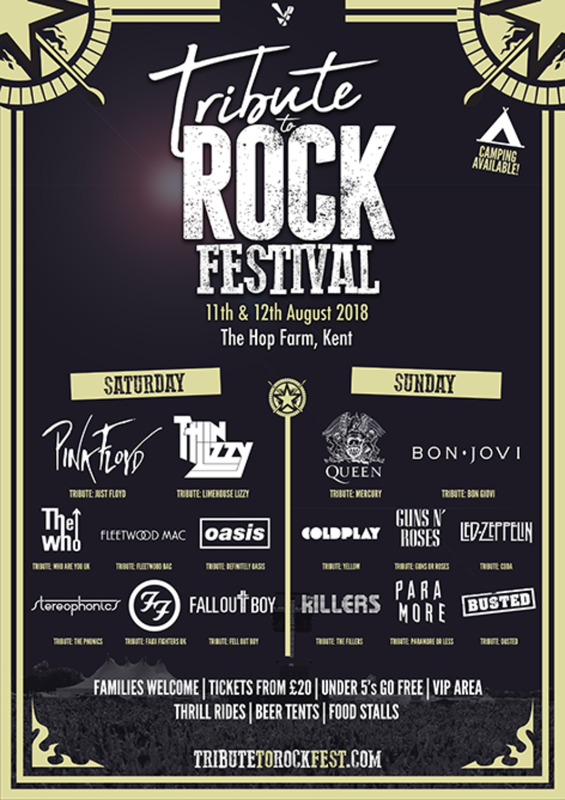 The Best Rock Tribute Acts in Europe come to Kent's Hop Farm for the ultimate Festival Experience. Enjoy Prog to Classic Rock Music in the sunshine! Listen to all your favourite tribute bands along with plenty of Food & Drink. Tickets are on sale now! Visit tributetorockfest.com for more details.